Lily and the Comfort Dogs deployed in Parkland, FL. Lily recently received this thank you note from a staff member at Marjory Stoneman Douglas High School in Parkland, FL. We thought we would share it with you. I would just like to take a moment to thank you for all of the love and support that you 🐾and your handlers showed to our students, teachers, and staff at Marjory Stoneman Douglas High School. I love each and every one of you💗, and if I forgot the names of a couple of you, please forgive me and send this email on to them. The unconditional love and companionship that you exhibited made a tremendous difference in our movement towards healing. You provided to us a comforting environment and a listening pair of ears at one of the most difficult times of our lives. Those feelings of comfort from petting a dog at such a confusing time of grief and, then, adjustment back to work, were exactly what we needed. We consider your handlers our new friends. Such caring and committed people who were called upon to fill a desperate need at our school and community….nice people who dropped everything and came to be with us. How truly blessed we feel for your visit. When Lily was deployed to Florida, the Comfort Dogs made a big impact in bringing comfort to those who were hurting. 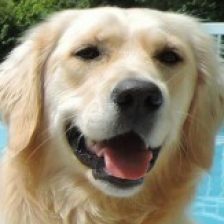 The other Comfort Dogs and Lily were featured in several news stories. Here are a few of those news stories you might be interested in checking out. Linda Cinquegrana, Lily’s handler in Florida, was also interviewed by a TV station as far away as Nebraska. Here is a link to the video: nebraska.tv/features/ntvs-good-life/meet-fla-confort-dog-lily. Lily has been asked to deploy to Parkland, FL in response to the horrific tragedy at Marjory Stoneman Douglas High School. She and her handlers are busy making preparations to deploy. We want to ask for your prayers for safe travel. We also ask prayers of comfort for all who have been affected and that Lily would be a calming presence among those she encounters. On Wednesday, February 14 – Valentine’s Day – another horrific mass shooting has occurred. As the school day was coming to an end at Marjory Stoneman Douglas High School in Parkland, Florida, gunshots were heard resulting in approximately seventeen people killed, with many others either physically wounded or emotionally devastated. Since the start of 2018, in just seven weeks, there have already been eighteen shootings in U.S. schools, and many have resulted in injury or death. With this increase in frequency, communities are living with fear and anxiety wondering when the next one will occur. The LCC K-9 Comfort Dogs have been invited by Rev. Stephen Carretto of St. Paul Evangelical Lutheran Church of Boca Raton, Florida, to bring comfort and compassion to students and their families, faculty, staff and first responders. LCC never goes where we are not invited and LCC K-9 Comfort Dogs NEVER charge those we serve. We pick up all of our travel, hotel, and meal costs. We also always put Boots and Paws on the ground within 24 hours (often less) from the time we get the invite. Please help LCC as we bring the Mercy, Compassion, Presence and Proclamation of Jesus Christ to those who are suffering and in need. We know that comfort is needed to help this devastated community and the first responders who serve them. Please support us by prayer and if you are moved, to help with travel expenses.